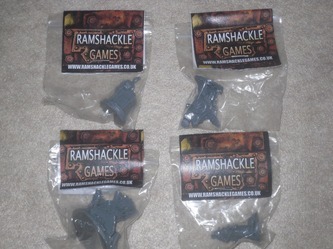 Ramshackle Games was launched in 2006, and it's pretty much a one man show, with the owner doing about 2/3rds of the sculpting, and all of the resin casting himself in house.The majority of the models from Ramshackle Games are resin, and are from the post apocalyptic genre. They also publish a ruleset called Nuclear Renaissance, and it's up to version 2.0 now. It's a post apocalyptic skirmish game, utilizing 30mm scale models. 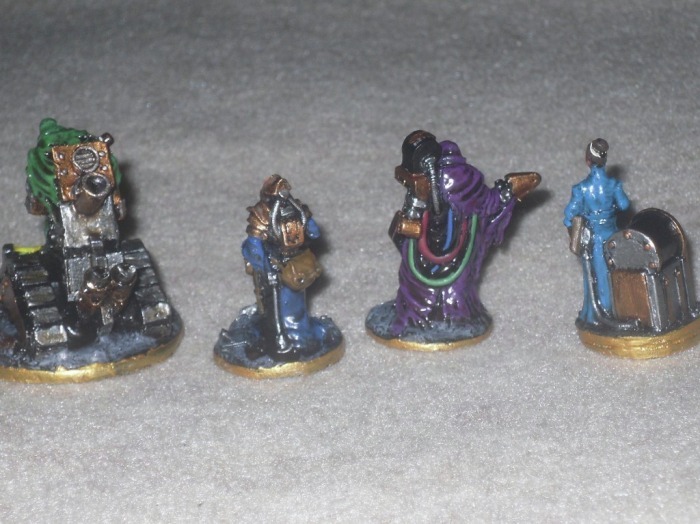 What drew my attention is the post apocalyptic setting, and the cost of the models. Most are priced at just 1.50 GBP, which is roughly $2.30 USD. There's also a few larger models, and the most any of them cost is 2.50 GBP, which is roughly $3.80 USD. That's not bad for being all resin models. He does offer post apocalyptic vehicles as well, and they cost a little more per model, but none of the stuff at Ramshackle Games website seemed expensive, or overpriced at all. I asked Curtis the owner about the resin he uses, and I was told it's nothing to worry about, that what I was smelling is neutral hyrdocarbons, and there are no harmful effects to worry about. I was also told that the smell would go away once the model was painted. I'm glad to report that I'm still here, and the smell did indeed go away once the model was primed! I also learned that the resin used is a different cheaper polyester resin, the type used in fiberglass boat repair materials. 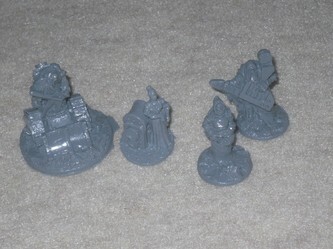 By using this type of resin, he's able to keep the cost of the models down. Fair enough. I think the smell is an acceptable trade off, because if he used the more commonly utilized, and more expensive resin options out there the models would cost 3x-4X more per model. Aside from the smell and initial appearance, I'd say these are easily as nice as any other resin model I've ever seen up close. Back to Matilda now. She looks like some old uptight school teacher, holding a book, standing next to an oversized old fashioned radio, or mailbox. While this isn't at all a piece I'd ever think twice about purchasing, the sculpt is nice, and it's detailed. It's not a bad model, it's just not one that I feel personally is very visually attractive, and I just can't see what I'd ever use her for, other than some innocent bystander-type piece. 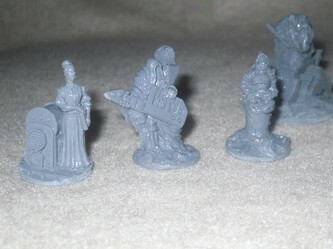 There's no assembly to speak of, as this is a single piece model, and very few mold lines could be found. She's also a 30mm scale model. Actually the entire post apocalyptic range offered by Ramshackle Games is 30mm scale. This is more of an observation than a gripe, but the base seems cut at an angle, and it's double thick on one end, and normal towards the front. I don't know if this was intentional, but it just looks a little funny, and sets the piece at an angle. 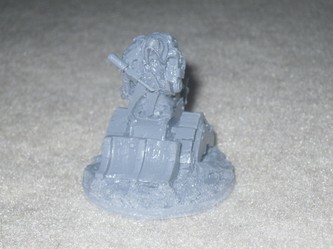 All of the Ramshackle post apocalyptic models don't come with separate bases. A scenic base is however sculpted right into each model. For instance, Matilda is standing on metal deck plating. If you wanted to base her, Matilda will fit on a standard 25mm-30mm round base. She is one of the 1.50 GBP priced models as well. Levi is also from the Nuclear Renaissance v2.0 line, and I really like this guy. He resembles a mechanical grim reaper, jamming on a guitar. 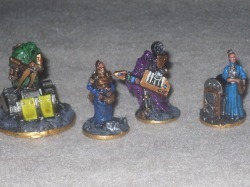 More than anything, it looks like he's jamming to some Guitar Hero, and that's how I painted him. He's nicely detailed and he too has a scenic based sculpted on, which details some rubble at his feet. Again, being a single piece mold, there's no assembly at all, and he did have a couple of mold lines to clean up, but nothing that a minute with my hobby knife couldn't remedy. Levi is another of the 1.50 GBP models. I don't know what to make of this guy, but he definitely looks post apocalyptic. To me it looks like he's wearing some armor plates with robes, and he's carrying a few packs around with him on the front and around the backside. His integral scenic base has some rubble and debris, and he too is another 1.50 GBP model. No clean up or assembly to comment on with him either, he was pretty much ready to go out of the pack. Although it's a nice model, without a weapon, this is another piece I wouldn't find all that useful in most skirmish games. Lastly there is this guy, who's also part of the Nuclear Renaissance v2.0 line, and he's much larger than the other models. He's mounted on what appears to be a bulldozer-like vehicle. He looks like he's friends with Levi, maybe even directly related, as he too resembles a mechanical grim reaper. He has a big scissor hand, and what looks like a ranged weapon of some sort on the right arm. There's debris and rubble on the scenic base, and overall this is probably my 2nd favorite model of the four included in this article. He is also a single piece model, ready to go out of the package. Since he's larger, he does carry a slightly larger price tag of 2.50 GBP, or $3.80 USD. It's clear this guy knows how to sculpt, as these are just a few of the many models available in the Nuclear Renaissance v2.0 range, and none of them are ugly. Although I did notice one thing, some don't have weapons, and this assortment as reviewed simply isn't the best assortment to judge the entire line by. There are models that are so much nicer than Juju and Matilda pictured at the website. While both are nice sculpts, I just don't think I would ever have thought twice about purchasing either one. Levi and Acelepius are a different story. I like them both a lot, and the whole mechanical grim reaper thing works for them two. Ramshackle also offers a really wide assortment of mutant plant models, which would be perfect for Ganesha Games Mutants and Death Ray Guns game. Actually any of these models would be perfect for that game. If you're a fan of Mutants and Death Ray Guns, Ramshackle Games has just what you may be looking for, and at insanely reasonable prices. Ramshackle Games also offers Nuclear Renaissance v2.0 boxed set which includes the rulebook for their game, a nice variety of the models, including some vehicles, and some dice and tokens all for 48 GBP, which is roughly $70 USD. They also just released this week some post apocalyptic bikes and rider models, some of which look like they'd make for great Ork Warbiker conversion jobs. Most of the bikes alone are priced no more than 2.50 GBP, or $3.80 USD, which is a steal. Many of the other vehicles are in the 5.00 GBP range, and there are many different vehicles to choose from. 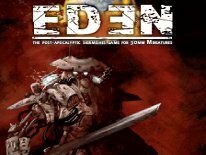 If you ever wanted to do some serious Road Warrior/post apocalyptic gaming, this is the site not to miss. Ramshackle Games is also dabbling in fantasy models now too. I think most hobbyists stand to find something that may be of interest by checking their website. Ramshackle Games is definitely worth checking out, because I don't know of anywhere else you can find such a wide variety of inexpensive models in resin.